Here’s your chance to win a fantastic Christmas present. We will be having a prize draw at the club house on Thursday 20 December with two great prizes on offer. 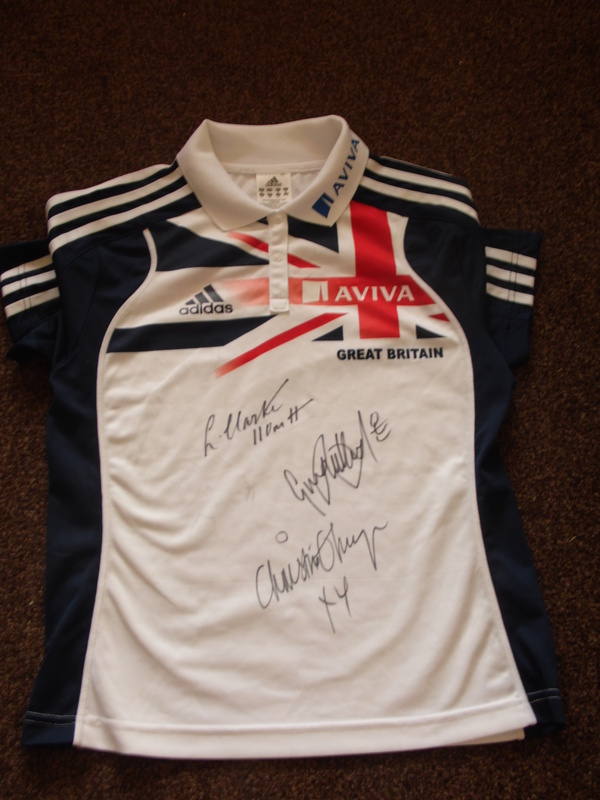 The 1st prize is a team GB T-Shirt, 2nd prize is a club vest. Both are signed by Olympic athletes Greg Rutherford (Long Jump Gold Medalist), Christine Ohuruogu (400m Silver Medalist) and Lawrence Clarke (110m hurdles 4th place). Tickets are £1 each and are available from the coffee bar.